New restaurant is unlocked: ? Pizzeria has its grand opening! Try to make your own tomato mozzarella salad! Enjoy the traditional italian style cuisine with us! ?? 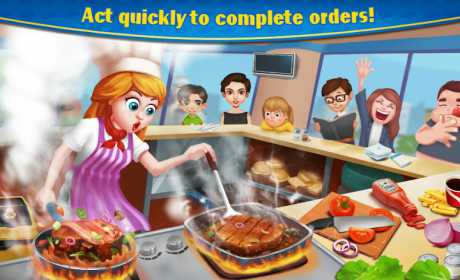 Crazy Cooking- Star Chef (Original Burger Master) is a cooking game that allows players to open different genres of restaurants! 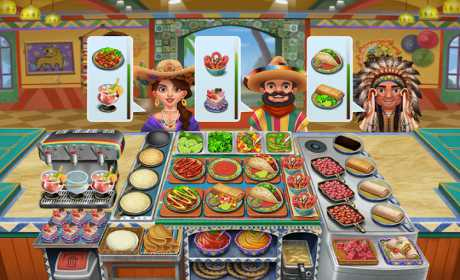 Run your classic diner to serve serves ? burger, ?fries and ??? milkshakes or open a Japanese ramen bar to cook ? delicious noodles ?! Can you act fast enough to deal with tons of orders?
? Flowery Donuts Shop is ready for unlock! Cook brand new food: Donuts with delicious cream! Enjoy cute, pinky and delicate interior design! ? Our brand new kitty ramen bar is open! Would you like to have a bowl or ramen with pork chasu, egg and bone broth? Upgrade your interior to attract ? cats to your restaurant, customers love these adorable fury things! Also, don’t forget to upgrade the American diner! Classic burger ? or BLT is always a great choice! Want some snacks ? or treats? Our Fries and Milkshake can satisfy you!